Monthly recognition continues for local businesses making wellness a priority. Oxford, March 2017: RebelWell continues to highlight Oxford businesses that make health and wellness a priority in the workplace. This month’s spotlight is placed on Epicure Day Spa. It’s easy to see how a local day spa aligns with health and wellness. After all, they provide everything from deep tissue massages to quiet, electronics-free zones to rejuvenating products for the mind and body. It’s impossible to not feel total relaxation after a few minutes inside Epicure Day Spa. However, Lindsey Baquie, owner of Epicure, stands behind the importance of overall wellness for not only her customers but for her employees too. Baquie takes an extra step to ensure her staff makes time for their own wellness needs. She even picks up the tab. 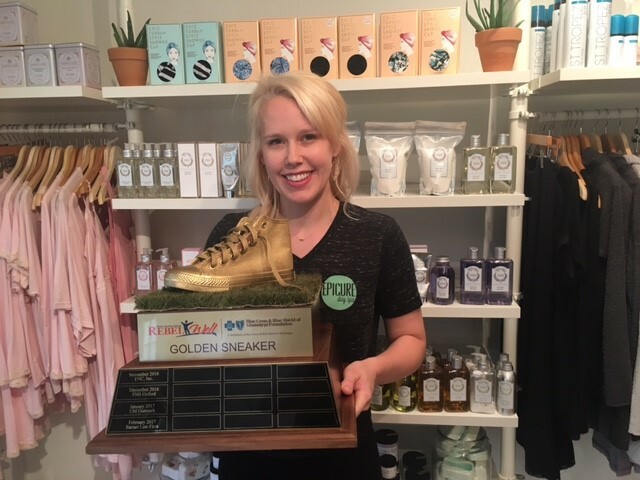 Epicure Day Spa will display the RebelWell Golden Sneaker trophy in the lobby of the spa for the upcoming weeks and permanently display the HealthyOxford|Business window decal signifying they are doing outstanding things in the wellness space. 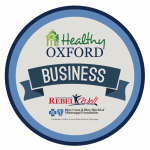 If you would like to recommend your company or business for HealthyOxford|Business recognition, please contact Wendy Carmean at wendy@olemiss.edu. Funded by a generous grant from Blue Cross Blue Shield of Mississippi Foundation, the University of Mississippi developed the RebelWell program that provides a range of opportunities for university employees, school-age children, public school educators, university students and the greater LOU community. RebelWell encourages healthy lifestyles through group fitness classes, cooking demonstrations, nutrition counseling and an array of programs and partnerships focusing on increasing physical activity and nutrition education. As a way to highlight local businesses in Oxford and Lafayette County who actively provide wellness opportunities to employees, RebelWell created HealthyOxford|Business. Each month, RebelWell features a local business and spotlights their wellness efforts and activities for employees and/or customers. Visit RebelWell online at rebelwell.olemiss.edu for more information. 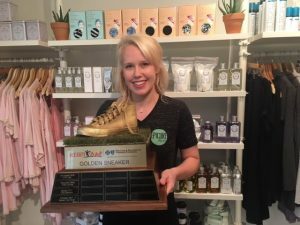 Established in 2012, Lindsey Denton Baquie knew what level of service was required to sustain a top-notch day spa in thriving community like Oxford, MS. Her beliefs that health, wellness, and beauty are intricately linked helped her curate a talented staff and a menu of services like none other in the community. From beginning to end, Epicure’s dedicated staff ensures their clients’ spa experience enhances well-being and enlivens the spirit. The entire staff at Epicure Day Spa is committed to its customers and see it as a privilege and pleasure to serve the Oxford community on a journey to greater wellness, relaxation, and rest. To learn more about Epicure’s offerings and hours of operation, you can find them online at http://www.epicuredayspa.com/ or by calling (662) 234-2215. See our previous spotlights here.